Patricia Wery is the Administrative Assistant in the Office of Institutional Effectiveness. 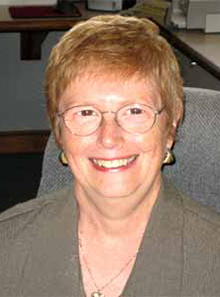 She joined the St. Norbert Community in 1995 as the Office Manager in the Teacher Education Office. Prior to that she was a legal secretary and then the Secretary to the Principal at St. Joseph School in Green Bay. She is responsible for assisting the Associate Vice President for Institutional Effectiveness; OIE team and assessment coordinators in carrying out all Academic, Student Life and Mission & Heritage program assessment activities. She also schedules meetings and other assessment activities, monitors OIE budget and mini-grants, prepares OIE newsletter, maintains the OIE web site, and prepares and administers various web-based surveys for the college, etc.